Next time you look for a tube using your favorite search engine, enter the type, space and the word pax. (example: 6BA6 pax). That will bring us up as one of the 1st pages. 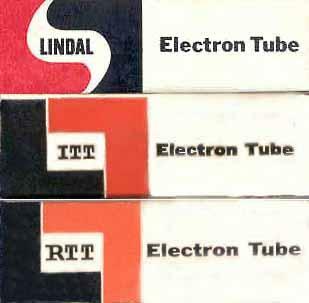 A small 'u' after the type number indicates used tube. Clicking on an underlined 'use' or 'try' recommendation will take you to that suggested replacement. Your back button will return you. good white - - Box Supplied Link will take you directly to ECG510 on the ECG/NTE page. E-mail us with what you want, we will return e-mail a PayPal invoice with instructions. Nothing could be easier!